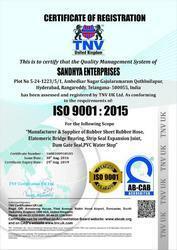 Founded in the year 2015 at Hyderabad (Telangana, India), we “Sandhya Enterprises”, are recognized as the prominent manufacturer, exporter of Bridge Bearing, Rubber Hose, Rubber Beading, Rubber Sheet, Rubber And PVC Products, etc. Our company is Sole Proprietorship (Individual) based company. Under the supervision of our Business Manager, “Mithilesh Chaudhary”, we have achieved strong position in the market. Sandhya Enterprises manufactuer and Supplier of Fly Ash Rubber Hose, Cement Feeding Rubber Hose, Slurry Rubber Hose , Water and Air Rubber Hose and Oil Rubber Hose. 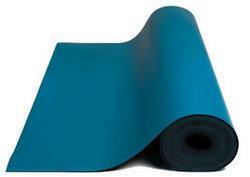 Sandhya Enterprises is an ISO:9001-2015 Certisfied Company manufacturer , Supplier and Exporter of Elastomeric Bridge Bearingm Strips Seal Expansion Joint, Comression Seal Expansion Joint, Slab Seal Expansion Joint, Rubber Sheet, Rubber Hose, Rubber Dam Gate Seal. We are pleased to introduce ourselves as Rubber Sheet, Textile Braided hose, Rubber Suction Hose, Elastomeric Bridge Bearing, Rubber Moulded products, Extruded Products and PVC Water Stop, Bridge Expansion Joint. We have leading and reputed consumer as our valued customers. It will be our pleasure If we can be of any service to your good selves and welcome your inquiries for your requirements. Our service is well established with the, Cement industries, Granites industries, Electric Power Industries, Ready Mix Industries, Construction Company and Civil Construction Works. We go through the test certificate, Physical Properties, Processing condition of the finished goods, grades etc and after looking at the final product we confidently recommended our valued customer to buy the product. We are manufacturer of As per IS, BS,ASTM,SAF 100 IRC 83 Part (II)1987, UIC 772, MORTH and DIN specification. IS:444,IS:446,IS447, IS3549, IS 10733,IS:8189,IS:638 , IS:884, IS:903, IS:2396,IS:3549,IS4135,IS:5382, IS:5894,IS:7466, IS:7887,IS:9573,IS:10908,IS:5821, IS:7654, IS:2482,IS:5137, IS:635, IS:1677,IS:2765.